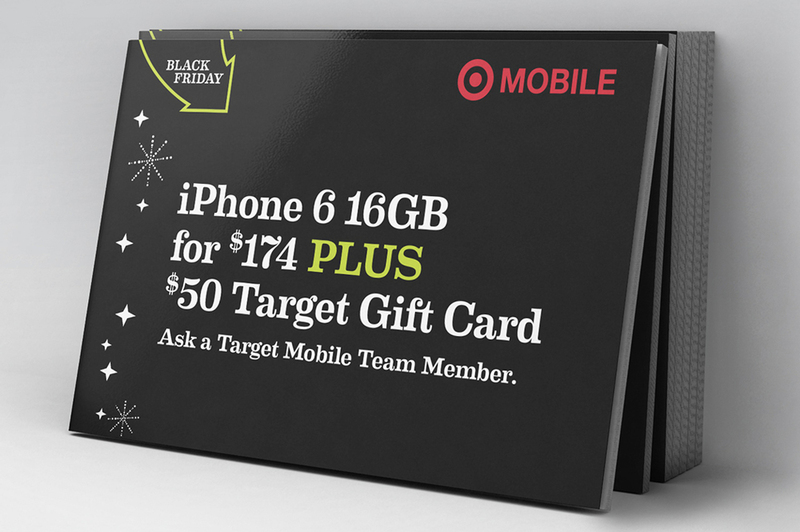 Target's 2014 Black Friday Campaign was an extension of its Holiday 2014 Campaign. 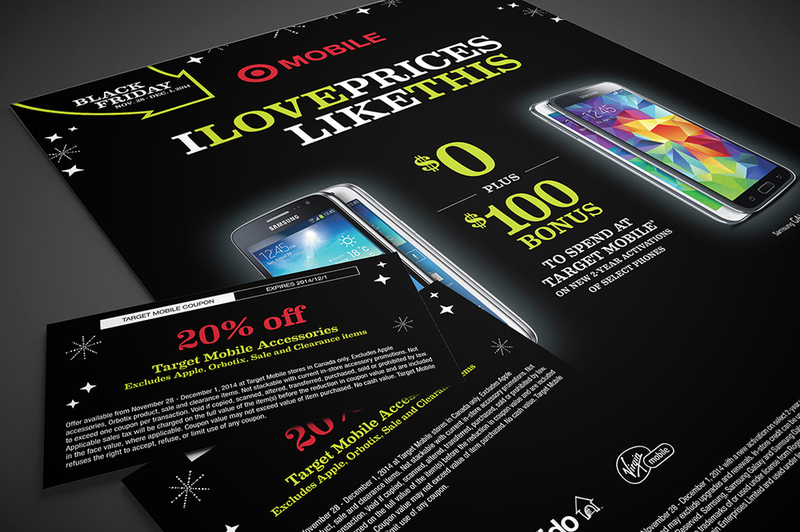 This year the bold, navigational in-store marketing for their holiday sales used a dynamic arrow, the Eames Century Modern typeface, sparkle stars in white and "IT’S HERE IT’S HERE IT’S HERE" as the sale phrase. 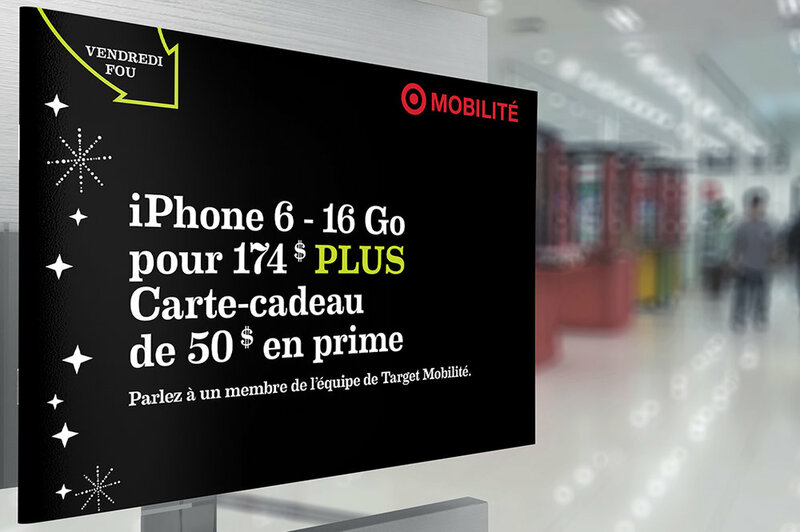 Target Mobile's in-store experience included English and French language versions of backlit posters, flyers, coupons and signage featuring Canada's five major mobile carriers; Rogers, Bell, Fido, Virgin and Sasktel. 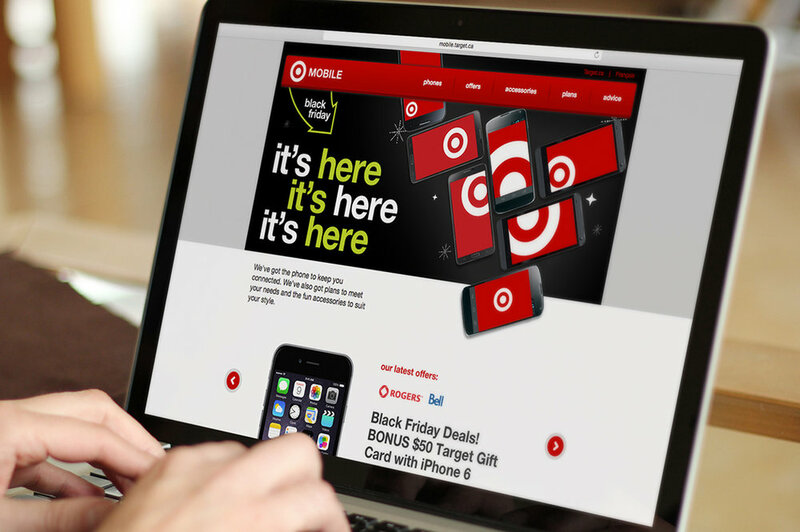 On the Target Mobile website, the same colour palette, illustration and effusive voice were used but with Target's standard Helvetica typeface all in lowercase. It was friendlier and more inviting to read with a playful treatment in stacking and staggering to emphasize this year's holiday voice of optimistic, enthusiastic, infectious giddiness. 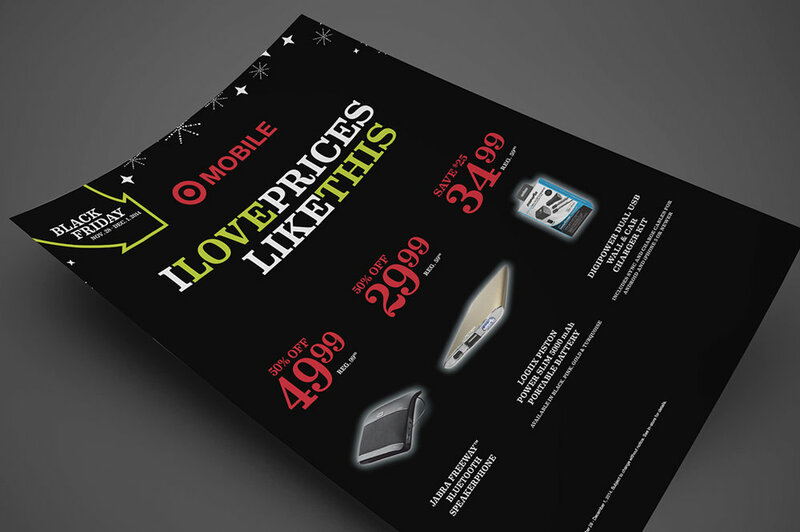 The Target Mobile Black Friday weekend held record sales for their mobile products.